Today I have another makeup review for you guys~! This item is also really cheap for the quality you get. It is around $10 in Japan, but you can buy them online as well from sites like Imomoko, Sasa or Ebay. In Japan you can find these in most drugstores. 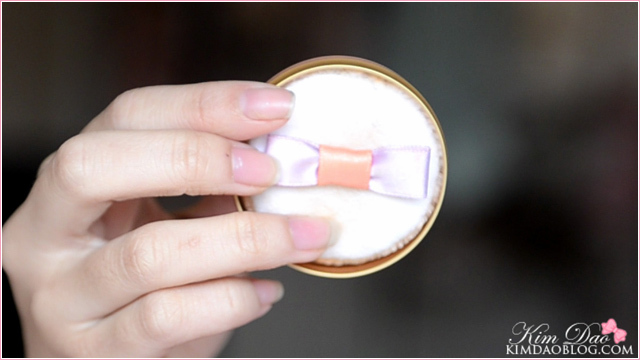 The blush comes with an adorable powder puff! 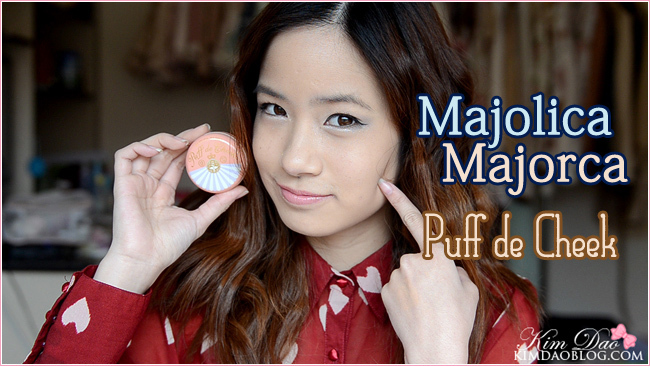 The powder puff is super easy and convenient to use! It picks up the blush pigments very easily. 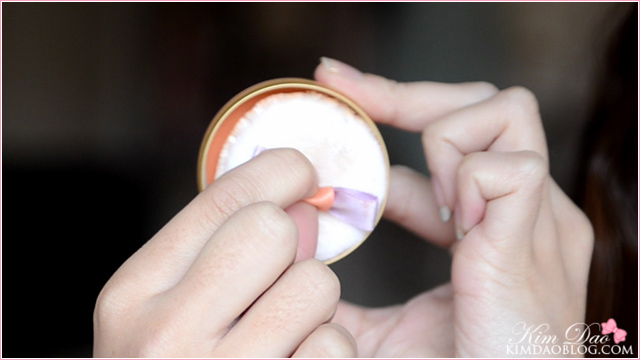 However, because it picks up the pigments very easily, you have to be careful to not apply too much blush on. Many times I found that I applied too much blush on and had to end up rubbing some of it off or by applying more powder on to hide it. I never used to wear orange blush, but lately I've been liking them a lot more. 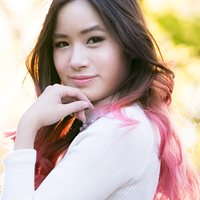 I love wearing pink makeup on my eyes, and by using an orange blush, it doesn't make my face look "too pink". Overall I think that this blush is definitely worth checking out if you are someone that loves cute packaging! Also this blush is small so it's easy to just slip into your makeup bag. I usually carry this one around in mine since I find that the orange blush usually goes well with any makeup looks that I do! I also have this in pink so I will review it later :) But for now..
- The packaging is adorable! Oh the package is really lovely and the color is very pretty too. This blush is so cute (both for the colour and the package)!!! Kim please help! you have beautiful skin, could give me somes tips yo hace her as you? Hellooo Kim! I have this blush too, and I love to apply it using a brush instead of the puff (silly me wish to keep it clean~ and new~). 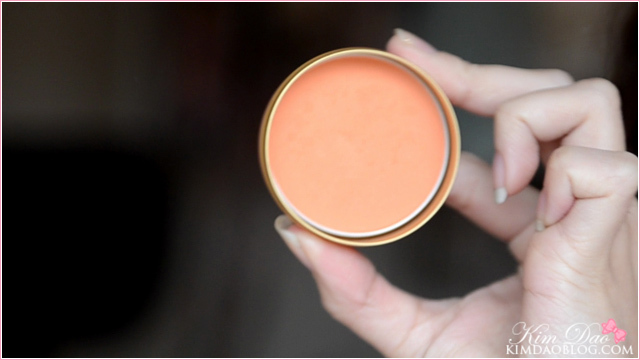 This is a very natural orange blush which I love to pair it with a pop of baby pink to make it extra "sweet". Teehee..
Hi Kim! I've just followed your blog recently. I really love MajoMajo. I want to buy one puff de cheek but my skin is not flawless like yours that kinda frustrates me. But I love your review! I love the packaging of these blushs. But I never bought any of them until now. Does it contain shimmery particles? Definitely try it out! It's one of my favourite blushes! Oh great, I'll try it sometime, thank you! Could you please do more videos about Japanese Makeup? Like the one you did about the mascaras? I love orange blush...but I'm scared this might not be pigmented enough. They might have it in nyc, though a bit overpriced, but at least I can try it out. I'm supposed to be saving money, lol. I think this one is really pigmented so it might be worth checking out! But yeah, try to buy it online, I think it will be a lot cheaper than buying in nyc!